Mizoram government is contemplating to incorporate drug intervention programme in the school curriculum. 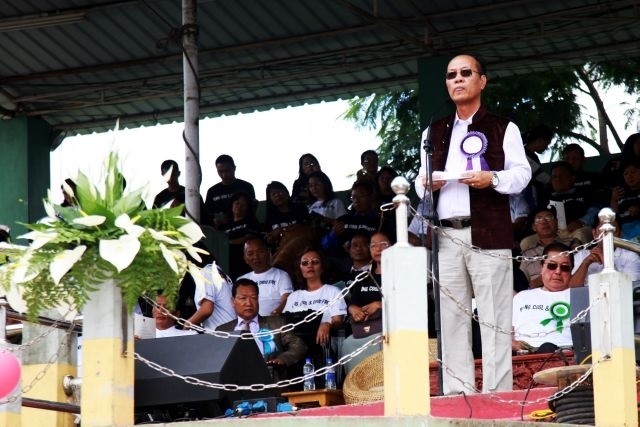 Mizoram education minister H Rohluna on Tuesday said a roadmap to include drug intervention in educational system has been planned under the New Economic Development Project. He was speaking at a programme held on the occasion of International Day of Drug Abuse and Illicit Trafficking at Aizawl. “After analytical research done on drug abuse among youths by the social welfare department, it was found that youths start experimenting drugs and other tobacco products at the age of 15. The state government is advised School Drug Intervention programme be choked out,” H Rohluna said. Mizoram is one of the states in India with highest prevalence of drug abuse, according to excise department over 1,460 people, including 163 women, have died of drug abuse in 34 years since 1984. In 2017 at least 65 people, including 12 women, died of substance abuse; of them, 28 people died due to heroin overdose while the rest died due to other narcotics. In 2017, Mizoram conducted the Baseline Survey on Extent and Pattern of Drug Use in the state, the first of its kind complete survey, has revealed many shocking facts about drug abuse in the state. The survey was carried out in all the eight districts of Mizoram by 32 researchers, interviewing 2633 drug users whose average age was 28 years. Of the 2,633 drug users interviewed, 80 per cent were males, 10 per cent were females and one percent was transgenders.